According to the brainiacs at the Oxford English Dictionary — that linguistic treasury that contains more than 800,000 words — some buzzy phrases that seem new fangled are actually kind of old. 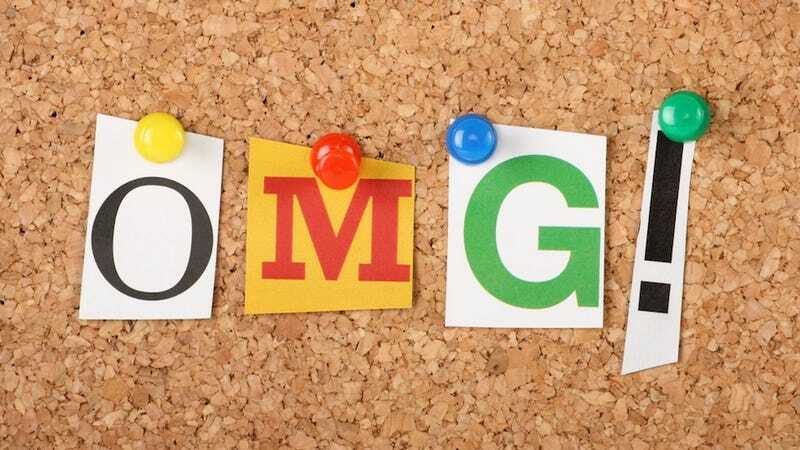 OMG as an abbreviation for Oh My God, for example, first appeared in a letter written to Winston Churchill in 1917 ("OMG World War I suuuucked.") (Not really.) (That parenthetical was a joke.) And "unfriend," thought to be the wordchild of Facebook, dates back from 1594. As in "If you suspect that your neighbor is a witch, unfriend her." What next? News that "sext" was actually coined by Shakespeare?